From Athens you can take the bus to the South of the Peloponnese, to Neapolis or Gythion and then the ferry to Kythera. There is a daily ferry connection between Neapolis and Kythera (outside the season 6 times per week). From Gythion once a week a ferry sails to Kythera. 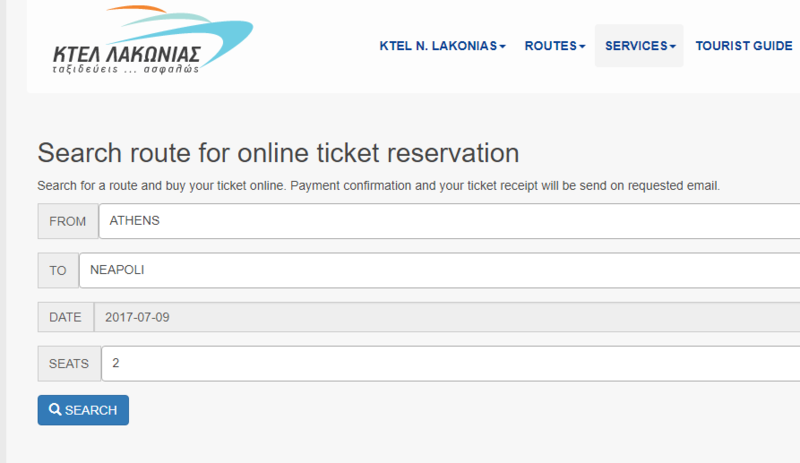 Always check the latest information on the ferries on www.openseas.gr or call the ticketoffice. The busses in Athens leave from the bus station at Kifissou street 100. You can reach this bus station with Line X93 from the airport and with Line 051 from Omonia square (departure at the corner of Zinonos and Menandrou street). Price one way € 37,00. Price one way € 26,00. Also Drakakis tours goes once or twice per week up and down from Kythera to Athens with a bus. Athens: Corner of Syntagma Square and Ermou Street. Price per person one way € 45,00 (including ferry ticket). For bookings and information about departure times, call 0030-27360-31160 (between 09:00-14:00 and 18:00 – 21:00), send an email to drakakis@otenet.gr or check out the website of Drakakis Tours. The above times are based on information published on the internet. We always try to give the most recent information, however we can not take responsibility for the acuracy of data. Always contact KTEL or Drakakis Tours for the latest information on availability and prices.